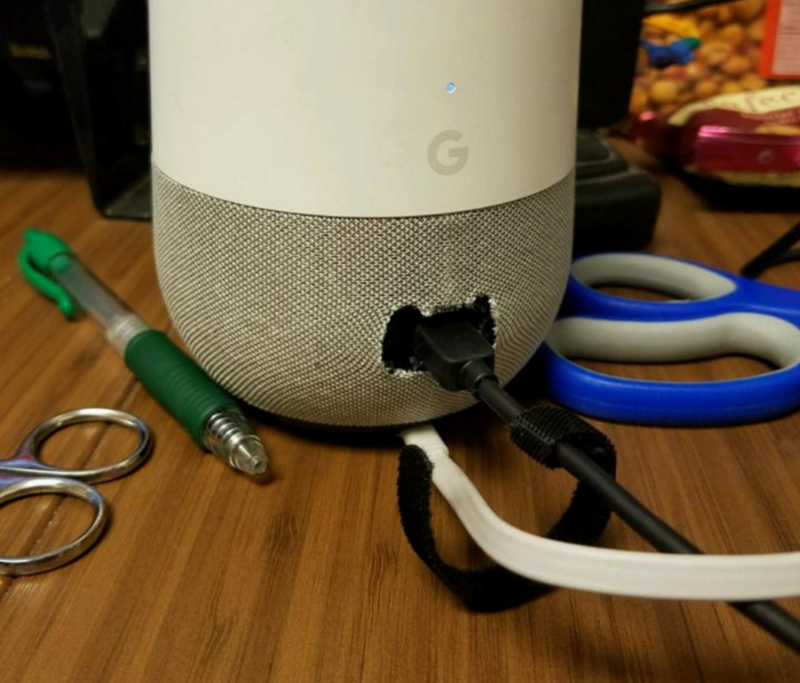 A couple of weeks after the Google Home personal assistant device was announced last year at Google I/O 2016, it was reported that Google Home would be nothing more than a Chromecast stuffed inside of a speaker. The report came from The Information, and claimed this was true because they shared the same microprocessor and WiFi chip as the Chromecast. There really isn’t that much to a Chromecast so all Google would need to do is add a speaker, microphone, LED lights and a plastic casing and boom, you have Google Home. Then in November of last year, iFixit released their teardown of the Google Home and it was confirmed that these two devices shared similar hardware. We learned that Google Home shared the same CPU, flash, and RAM as 2015’s Chromecast. This is something that has become incredibly popular with Google selling tens of millions of units since it was first released. Google even has an Ethernet Adapter for the Chromecast that can be purchased from the Google Store for $15. Reddit user LeonJWood was having trouble connecting their Google Home unit to the wireless network that’s available to them. It seems Google Home has difficulties connecting to 802.1x (WPA2 Enterprise) WiFi networks unless you have MAC Auth set up to automatically allow the device to connect. Naturally, this is not allowed at some work and school environments so they were forced to go through an alternative route. They were aware that the Chromecast and Google Home products shared similar hardware, so they purchased the ethernet adapter from Google to see if it would work. And indeed it did work! All you have to do is connect the ethernet adapter to Google Home via the port in the back (which is hidden by the speaker grill) and it will work. They do warn you that anyone else on the network can see and control your Google Home too. They have also noticed that streaming music to it from their smartphone will cause it to cut out from time to time. This could be caused by other issues though so it might not be limited to this ethernet adapter.